What are minor traffic offenses in Ohio? A minor traffic offense in Ohio may not seem like something to fret over. It seems that everyone you know has received at least one speeding ticket in his or her life. Rather than brush off minor traffic offenses as nothing to worry about, consider the long-term impact on your driving record. 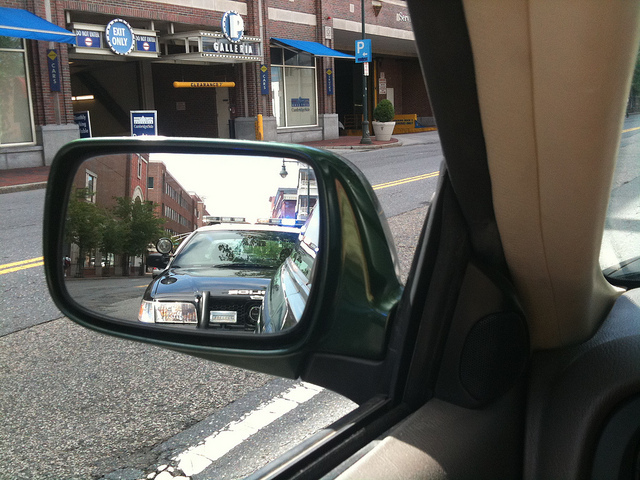 Many don’t understand the consequences of receiving multiple tickets for traffic violations. If you drive a company car, have too many points on your license, have a commercial drivers license, or don’t want your insurance rates to increase, it is important to contest these traffic tickets. Finding the right attorney is important, which is why having a Columbus, Ohio criminal defense attorney on your side is crucial. Rather than face jail time, the results of the minor traffic violations are fines and points on your driver’s license. Again, if you are required to drive for work, any accumulation of points on your license is unacceptable. This is why you should hire an attorney to defend you in minor traffic matters. The following are types of minor traffic violations in Ohio that could affect your driving record. Have you ever run a red light? With the controversy surrounding the red light cameras, more officers are likely to monitor drivers attempting to run red lights. In the past, the red light cameras would take a photo of your car, and you would receive a notification in the mail with a place to remit payment of your fine. If an officer caught you, you wouldn’t receive a civil penalty such as a fine, you would receive a traffic ticket. Now as citizens in cities such as Cleveland and Toledo fight these red light cameras, it is more likely that running a red light will result in a traffic stop and a traffic ticket. In addition, when you fail to stop at a red light, or make an illegal turn at an intersection (turning left on a red left turn light) you can also receive a ticket. Rather than pay the fine and plead guilty, many are finding the benefit of hiring an attorney to defend their rights. If charged with a traffic control light violation, you risk accumulating 2 points on your driver’s license. Under Ohio law, you accumulate points on your license for various traffic violations while in your vehicle. If you accumulate 12 points within 2 years, the state will suspend your license. Many people rely on personal transportation to get to and from work, or even rely on a commercial driver’s license for work. Accumulating points on your driver’s license puts you at risk for driver’s license suspension. Finding the right Columbus, Ohio traffic violation defense attorney is the key to keeping those points off your license. A speeding ticket is one of the most common minor traffic violation offenses we see in Central Ohio. Hiring a traffic ticket lawyer in Central Ohio can help you preserve your unblemished driving record. If you do have previous traffic tickets, hiring an attorney to prepare a defense could keep additional points off your license. The maximum number of points you can get per speeding violation is 4 points, if you are driving 30 miles or more over the speed limit. At high speeds such as 30 miles over the speed limit you may also be charged with reckless driving. Finding an attorney is important, especially when you are facing multiple charges and additional points on your driver’s license. It is more common for people to drive slightly over the speed limit when rushing about during the day. Generally you only get points on your license if you are going 10 miles or more over the speed limit. Once on your license, they remain for 2 years. Hiring an attorney to help keep these points off your driver’s license is key. This is especially important if you drive for work or need to maintain a commercial driver’s license. Hire a Columbus, Ohio criminal defense attorney to help prepare your defense. If you face multiple charges and need to drive for work, you should prepare an adequate defense to preserve your rights. Additional minor traffic violations include: driving over the line, evading, making an illegal turn, and drag racing. Officers who see this behavior will hand out a ticket for the reckless behavior. You can also receive points on your license for these minor traffic violations. Finding the right traffic defense attorney to help you understand the various ways you can fight these charges is important. You may question whether or not to fight these seemingly inconsequential traffic matters in court. Rather than wonder whether or not to protect your driving record, examine the consequences of not fighting these tickets. Three options are available for those who find themselves charged with a traffic offense: you can plead guilty and subject yourself to penalties, you can hire an attorney to help fight the charges, or you can try to handle the case on your own. Each situation is different, but it is always best to hire someone with experience to help preserve your driving rights. Preparing your own defense is difficult; so let a trained professional help you navigate the court system. When charged with a traffic offense in Columbus, Ohio, criminal defense attorney Colin Maher can help defend your rights. At The Maher Law Firm you will work directly with Colin Maher, and he will be able to answer any questions you have giving you peace of mind regarding your traffic offense case. Call 614-205-2208 to talk to an attorney now.